Today I am super excited because my dear friend Crista Taylor is guest blogging for wreath week. She has made a beautiful burlap rosette wreath. 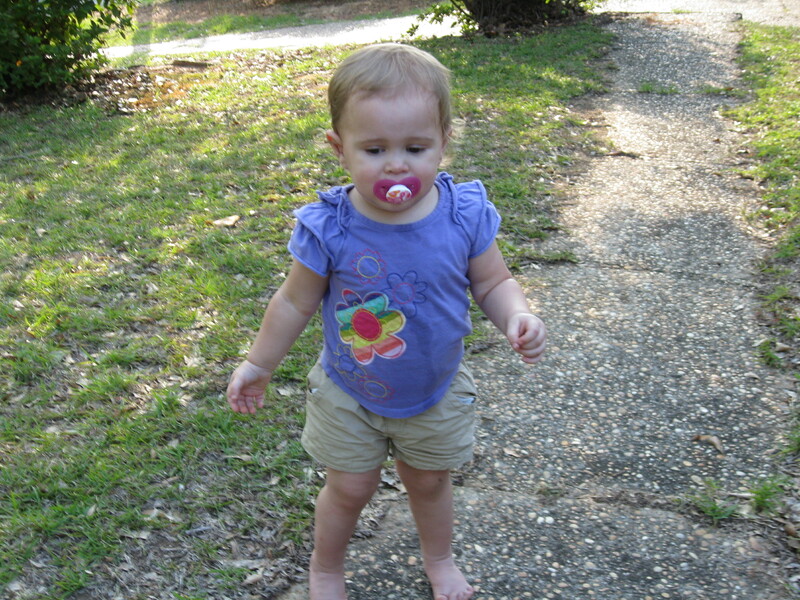 Although Crista doesn’t have her own blog you can follow her boards on Pinterest. My inspiration for this wreath was definitely burlap. Recently, I’ve been obsessed with any color burlap and found a local store that carries wired burlap ribbon at a reasonable price that is perfect for anything! It’s called Home Accents. Everything for this project was purchased there. I wanted something for my front door and kept seeing burlap rosettes in all colors on Pinterest so here is my take…..I hope you like it! 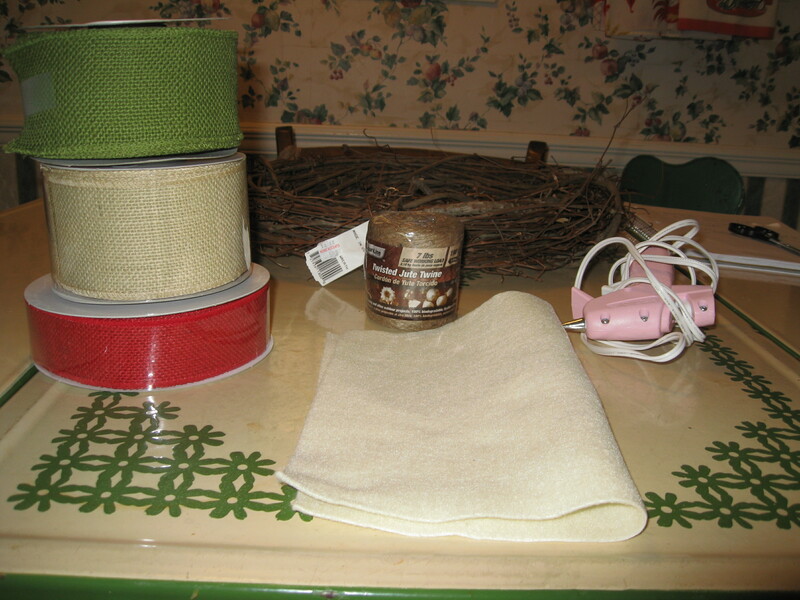 This project was very inexpensive to make and I have a ton of burlap ribbon leftover to use. 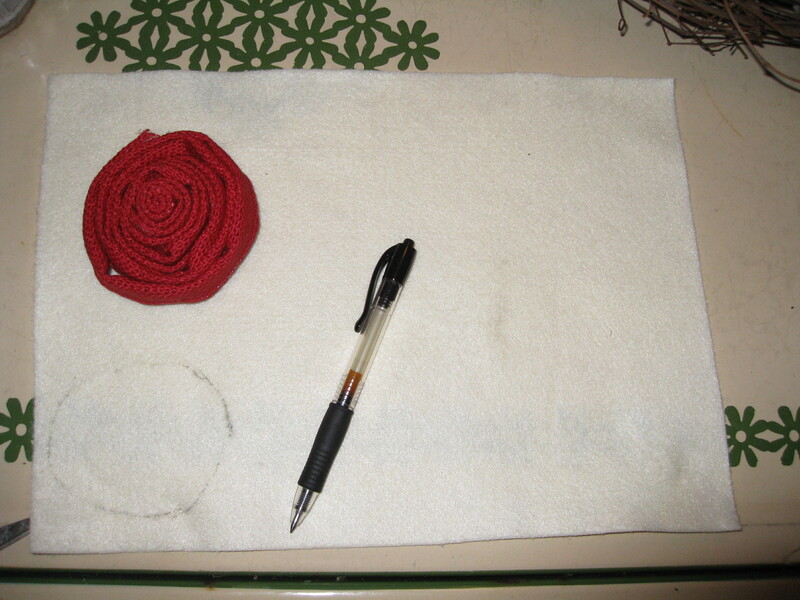 Fold burlap and roll until you reach the rosette size you prefer…I had 18” wreath so I used about 1 yard. 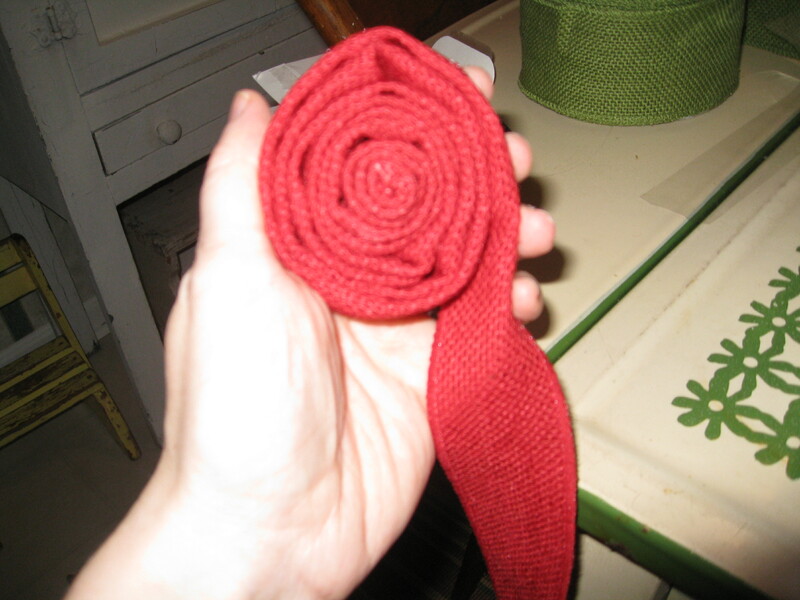 Now I rolled then folded then rolled…once you begin to play around with it you will get the hang of it and actually begin to make it look like a rose. The burlap I used was very stiff which actually worked perfect for making rosettes. After making a rosette, I hot glued the end to side to finish the rosette. 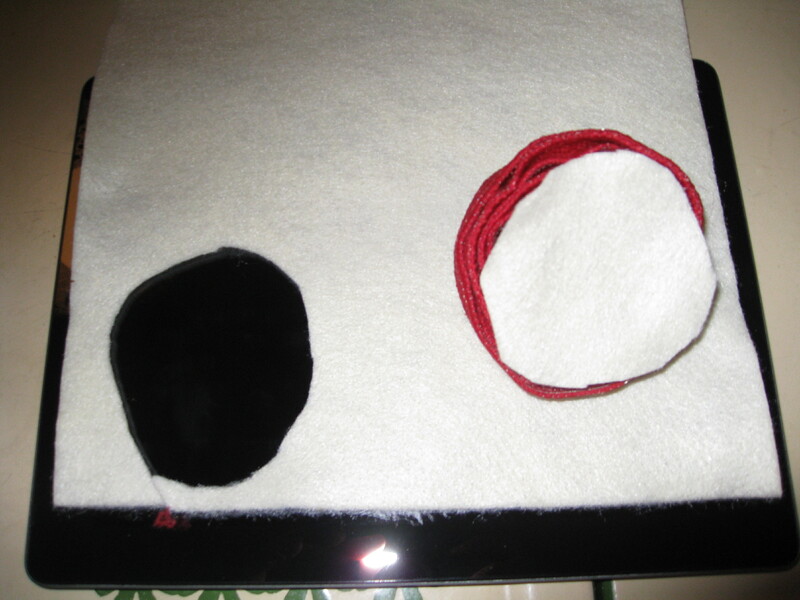 Then I traced the back of the rosette to felt, cut, and hot glued it to back of rosette. This makes it easier to attach on to your wreath. I wanted to make four so I alternated cream and red burlap. 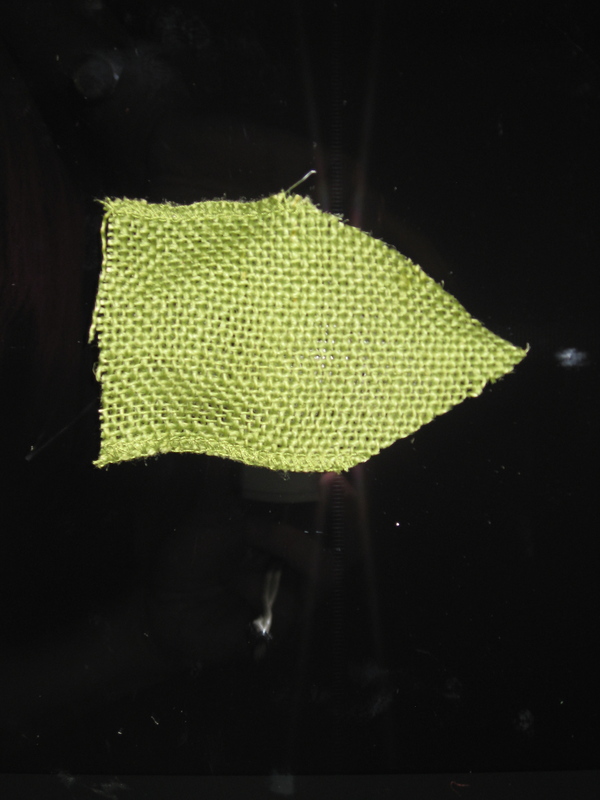 I also had green burlap so I played around with it and decided to make leaves! 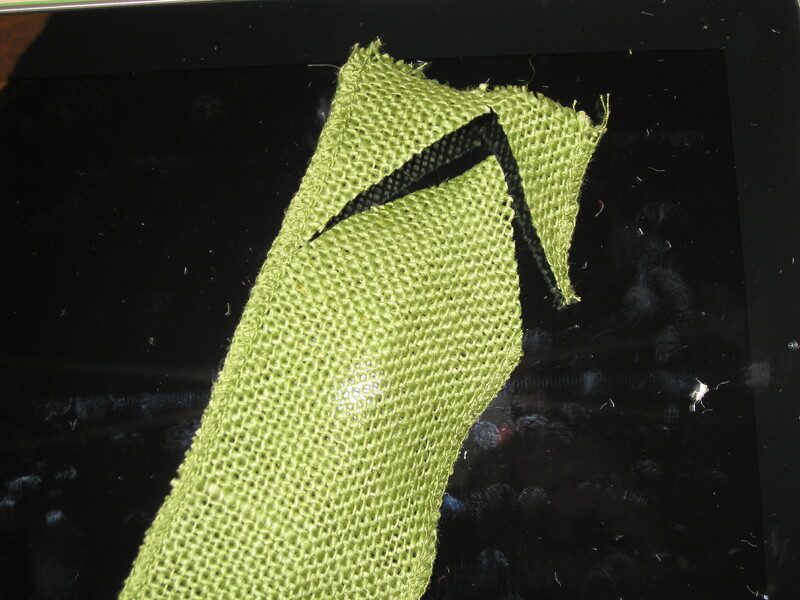 In order to make the burlap leaf I simply cut two diagonal cuts on about a 4 to 5 inch piece. 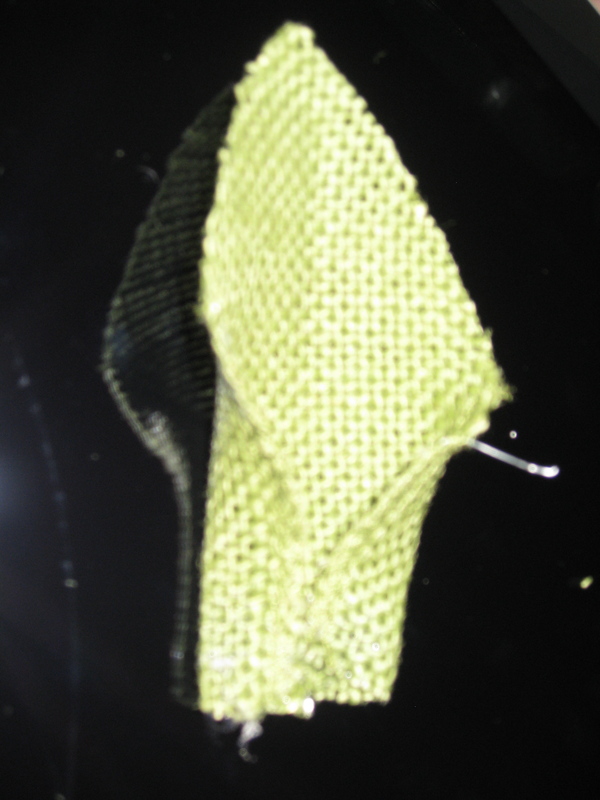 Then folded the ends backwards and hot glued…this as you see when attached to the rosette looks just like a leaf! Of course, after this I was feeling really crafty. Now I had to figure out how to place the rosettes on my wicker wreath. I am sure if you wanted to use a Styrofoam wreath this would be so much easier to place but I love the natural look of wicker so it was harder to attach the rosettes. I didn’t use hot glue, way too messy…so I got some good ol’ fishing line of the hubs and it worked perfectly! Literally I roped/tied the rosettes on the wicker wreath. Then I thought this fishing line will come in handy for making wreaths….it’s invisible and holds a lot of weight! Now for the finished product. You could simply hang it as is, but I took some leftover green burlap tied to the top and voila! 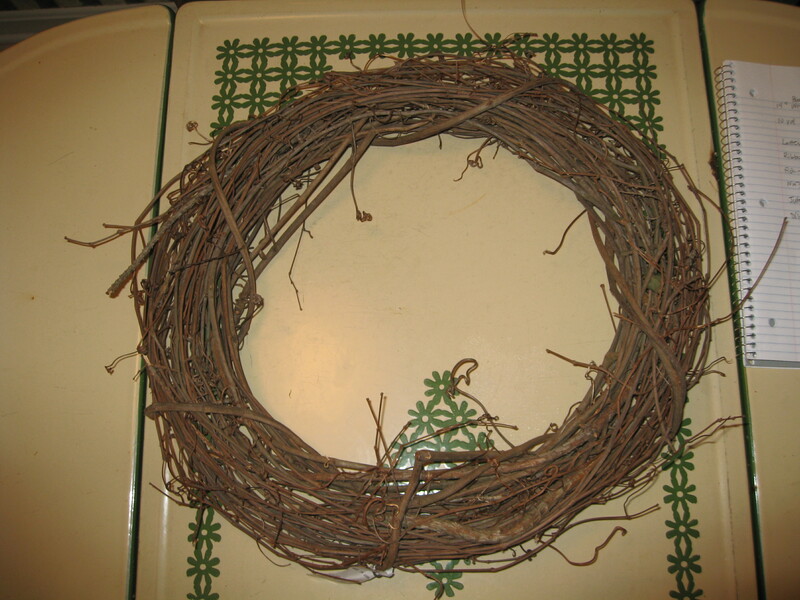 My rosette wicker wreath….it might be a bit plain, but I love it! Once you get started you will be able to create something that you love too. Thank you to RADMama for allowing me to be a guest on wreath week! Also, I must pay special thanks to my two precious assistants during this project…they are my true inspiration! 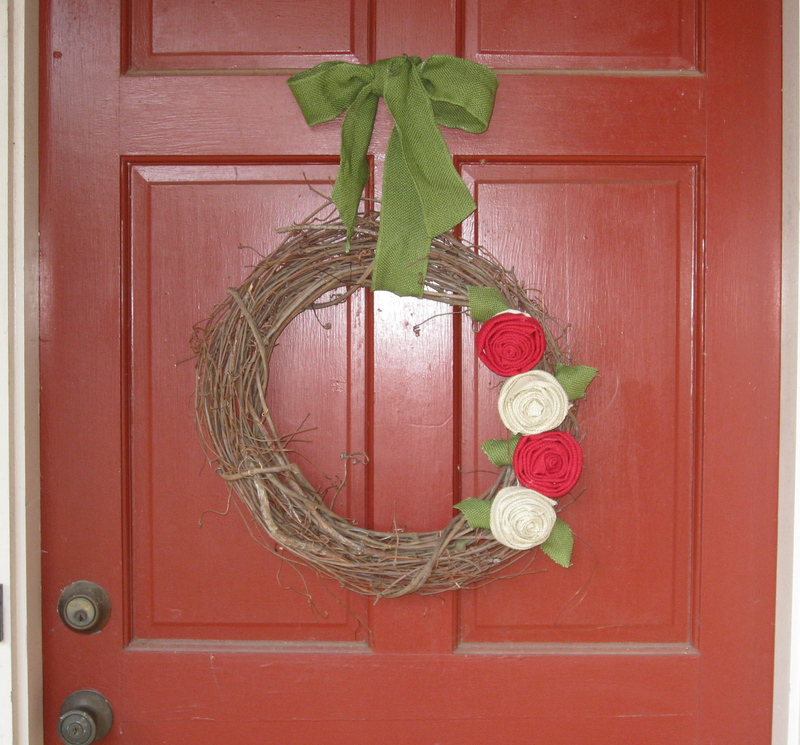 Thanks Crista for this beautiful burlap rosette wreath tutorial. Aren’t her two assistants precious! 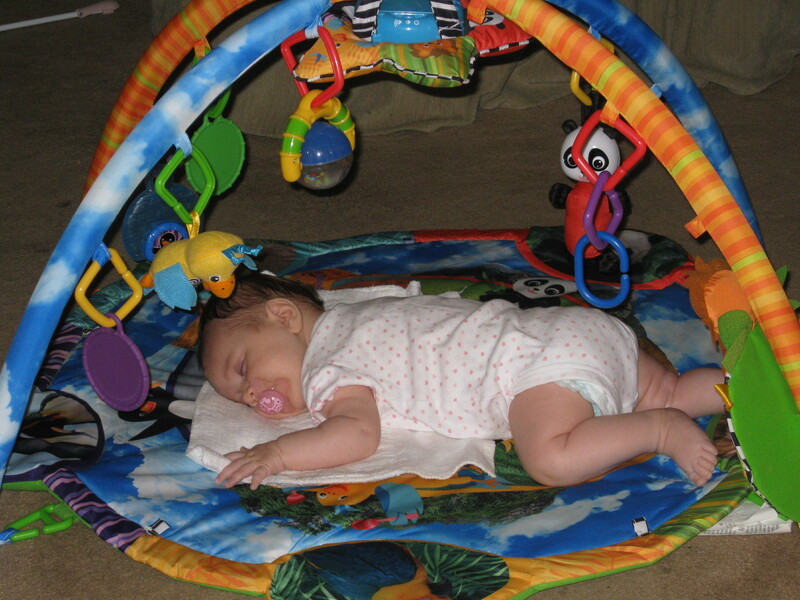 Crista is a working mother of these two and still has time to craft! Bravo to her and we look forward to more of her creative tutorials. 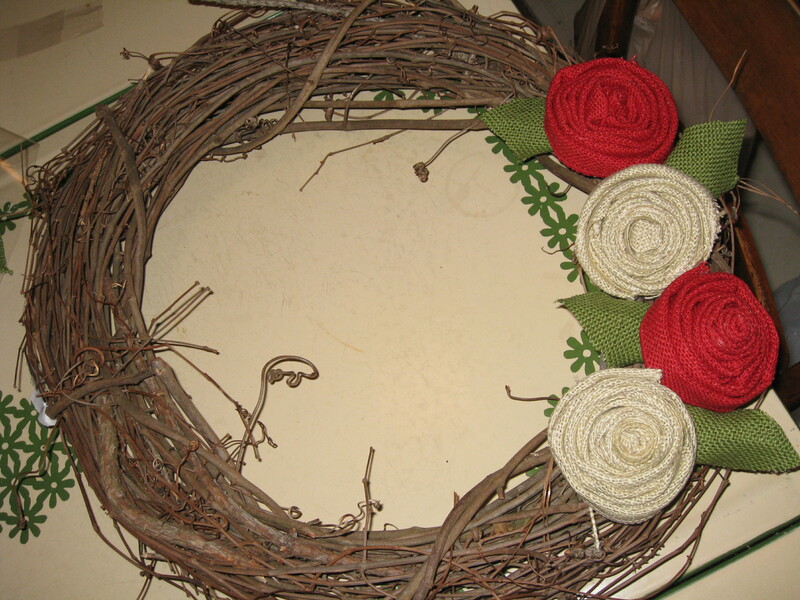 Posted in Tutorials, Wreath Week and tagged burlap wreath, rosette wreath, straw wreath. Bookmark the permalink. Such clever use of “humble” materials. You two are very crafty indeed. I know I love it too. I must make one asap!